Seven years is an incredibly long time in football – Chelsea alone have churned through seven different managers – and yet, it’s still amazing how opinions can so drastically change. 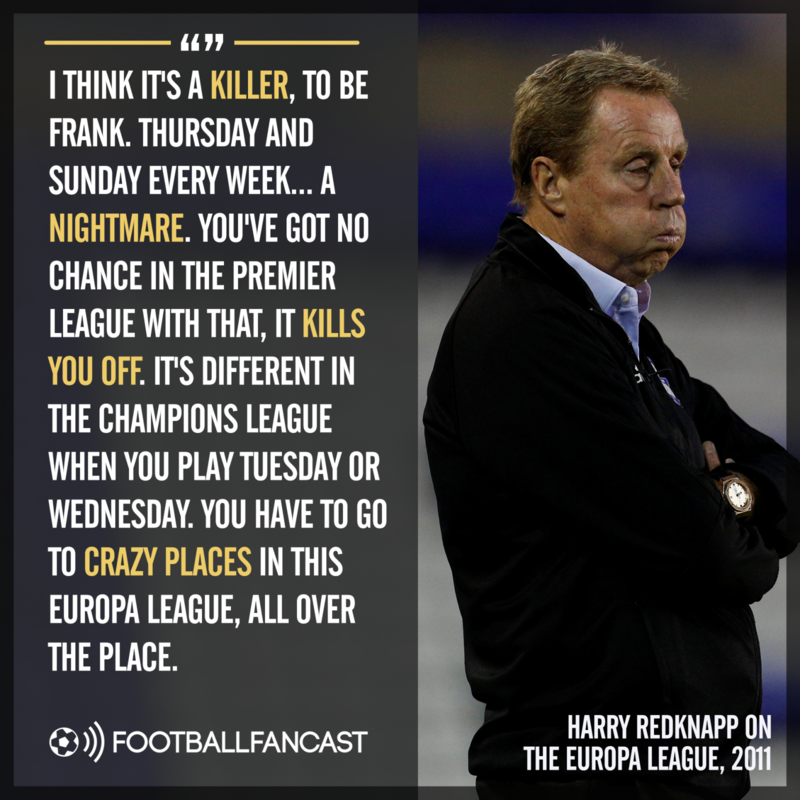 Back in 2011, after qualifying for it with Tottenham Hotspur, Harry Redknapp dubbed the Europa League ‘a killer’, a perpetual burden on Premier League campaigns with little obvious reward – except for a trophy that no English team had any genuine desire to win. In some senses, that is still true. Just as Fulham in 2009/10, Newcastle in 2012/13 and Everton this season discovered that involvement in Europa League nearly always results in a lower Premier League placing than the term previous, the English heavyweights to take the competition seriously in recent years have been forced to sacrifice domestic standards as well. But the key word there is ‘seriously’ – an adverb that didn’t apply to the approach of most major Premier League clubs towards the competition back when Redknapp was still in charge at White Hart Lane. Two key factors, though, have changed all that; the decision to make Champions League qualification part of the prize for winning the Europa League and the expansion of the Premier League’s summit from a top four to a top six. Along the way, the Europa League has transformed from a killer to a saviour for Premier League clubs and their managers – starting with Chelsea in 2013. Rafa Benitez’s much-maligned interim spell, which climaxed in a win over Benfica in the Europa League final, paved the way for Jose Mourinho to return to the club he’s most synonymous with. Two years later, Chelsea lifted the Premier League title for the third time under the Portuguese – but would he have come back to the west London club that summer, upon leaving Real Madrid, without Champions League football? It would have been a significant step down for the departing Bernabeu boss, and thus represents a moment when the Blues’ history since could have taken a much different path. Last season, it was Mourinho’s turn to utilise the Europa League as his saving grace; while the now-Manchester United boss may have just about survived into this term despite finishing sixth, winning the Europa League to earn reentry into Europe’s top tournament ensured a positive end note to an otherwise underwhelming first season in charge, and helped restore a reputation that had reached an all-time low after his horrific final campaign at Chelsea. 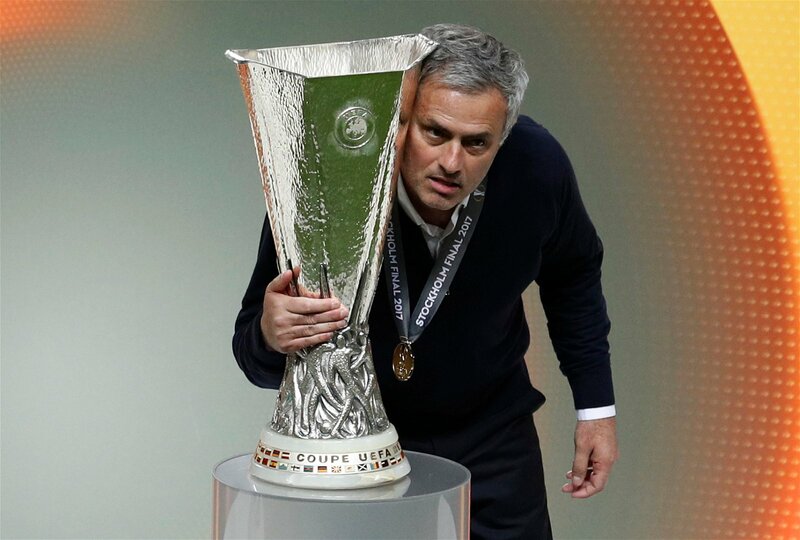 One can only speculate what the strength of Mourinho’s position would have been going into this season had United not won the Europa League, and how that uncertainty may have affected the start of the Red Devils’ 2017/18 campaign. In any case, as it did last year, another season in the Europa League would have hindered United’s hopes of the second-place finish they’re on course to claim this season. That makes the contract extension Mourinho signed in January seem far less likely. Now, as they prepare to host CSKA Moscow, it’s Arsenal who find themselves in desperate need of Europa League success. Recent Emirates Stadium attendances tell everything you need to know about the level of apathy at the north London club right now, and that will only continue into next season should the Gunners once again miss out on Champions League football. That’s not to say qualification will reverse the tide of disillusionment amongst Arsenal support, but lifting silverware this season and putting themselves back in Europe’s top competition will inject some optimism back into the club – at least momentarily. And for all we know, it could be what preserves Arsene Wenger’s tenure too. 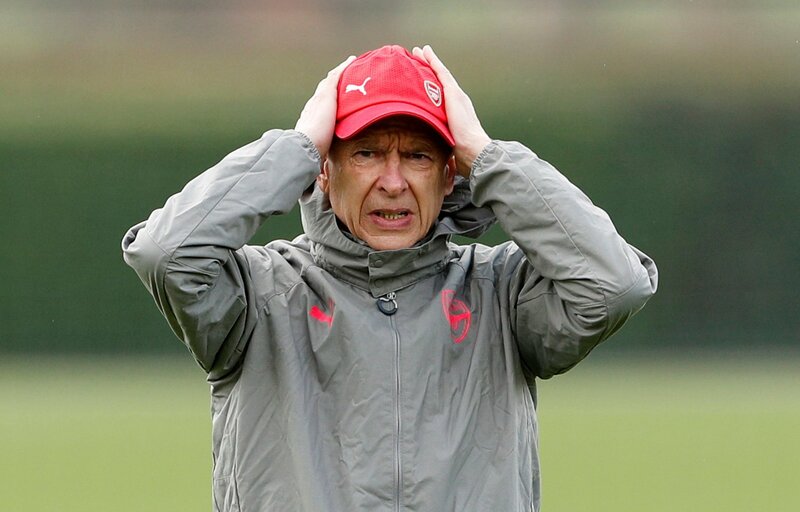 While most expect the Frenchman to still be in charge next season regardless, another year out of the Champions League might just convince Arsenal’s inactive board that it’s time for a change in direction. Wenger winning the Europa League though, might oblige them to see out the final year of his contract. Of course, it’s impossible to know what would have been had Chelsea and United not won the Europa League, just as it will be impossible to speculate the alternative consequences should Arsenal win or fail to win this season’s competition. But the facts speak for themselves: between 2001 and 2012, no English team won Europe’s second tournament and just two English teams reached the final, neither of whom – Fulham and Middlesbrough – are still in the Premier League. In the last five years, two English teams have won the Europa League, another has reached the final, and all three will finish inside the Premier League’s top five this season. Arsenal’s season rests on becoming the fourth member of this season’s top six to reach the final, and making it three winners in six years for the Premier League.